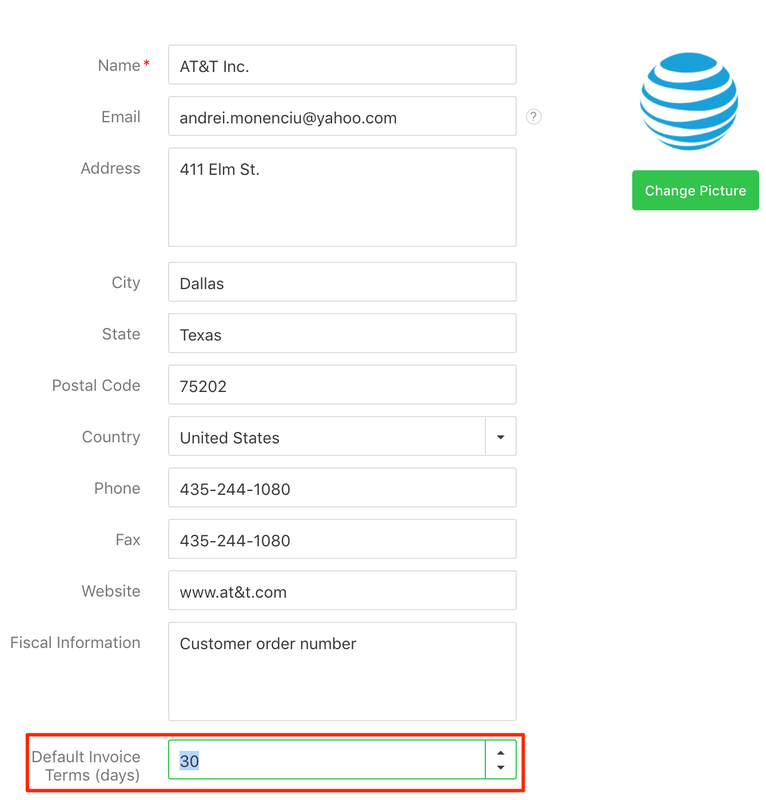 Learn how to set for each client the desired invoice due dates. When sending invoices to your clients, most of them have the same invoice terms (due date interval), which can be set by clicking on Your name (bottom left) → Company settings → Project accounting → Invoicing → Default invoice terms and set the desired number of days when the invoice will become due. 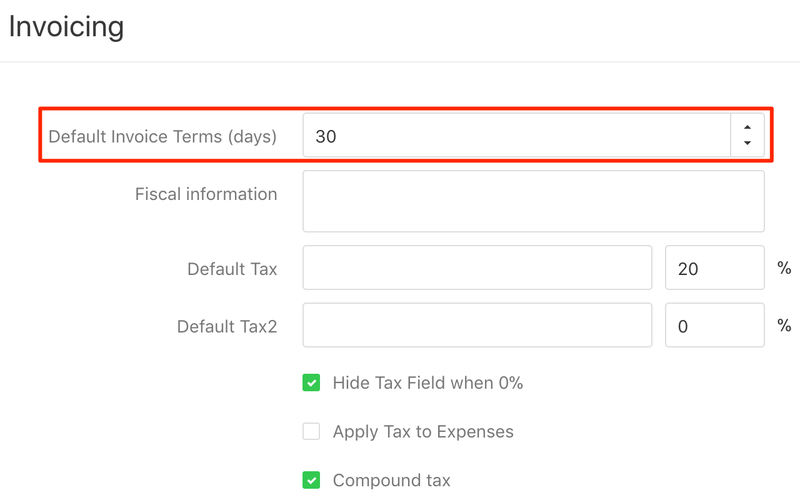 If some clients have a different due date interval, you can go to Clients → Select the desired client → Edit Client → Default invoice terms and change the due date interval from there.